I knew there would be more than one Westport connection to last night’s Grammy Awards. 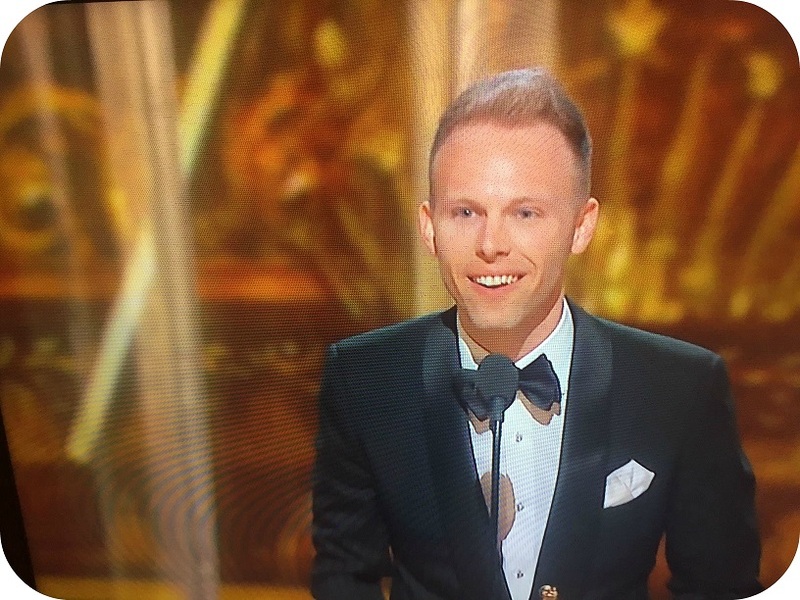 In addition to Daniel Tashian’s part in Kasey Musgraves’ Album of the Year, Staples High School grad Justin Paul picked up his 2nd Grammy. He and his songwriting partner Benj Pasek were honored for “The Greatest Showman” — named Best Compilation Soundtrack for Visual Media. Pasek and Paul are great showmen — and songwriters — for sure. They will pick up many more Grammys (and other honors) for years to come. 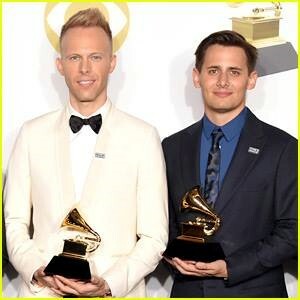 Justin Paul (left), Benj Pasek and their Grammys. Despite the efforts of parents, teachers, the media and others, there’s still a stigma attached to learning disabilities. Youngsters who learn differently are still called lazy and stupid. The 1st annual Smart Walk for Smart Kids with Learning Disabilities is set for this Sunday (12 p.m., Sherwood Island State Park). The event celebrates the strengths and talents of young people with learning disabilities and ADHD. It rejects stereotypes, empowers kids and parents, and raises awareness and funds for educational programs, youth mentoring, parent networking and resources to help families find support for their children. Smart Kids founder Jane Ross is a beloved figure in Westport. When her son was diagnosed with dyslexia in 4th grade — after years of frustration — she panicked. Would he ever learn to read? Could he ever go to college? She educated herself on how best to help her son. After earning his masters degree from the Columbia University School of Architecture, he is an architect in New York City. He designed the house his parents are now building. Oh, yeah: The inspiring song “This is Me” will be sung proudly on Sunday. The “Greatest Showman” tune is an anthem for everyone who is different. And it was co-written by Justin Paul — a 2003 Staples High School graduate. He won’t be at Sherwood Island on Sunday. But his music will help everyone at the Walk for Kids with Learning Disabilities celebrate some very special young people. Westporters will have 2 favorites, when the Emmy Awards are broadcast in September. Justin Paul — the 2003 Staples High School graduate who has already earned Grammy, Oscar and Tony honors — could become a legendary EGOT. The songwriting duo were nominated for “In the Market for a Miracle.” They composed the tune for “A Christmas Story Live” — Fox’s adaptation of their 2012 stage musical. 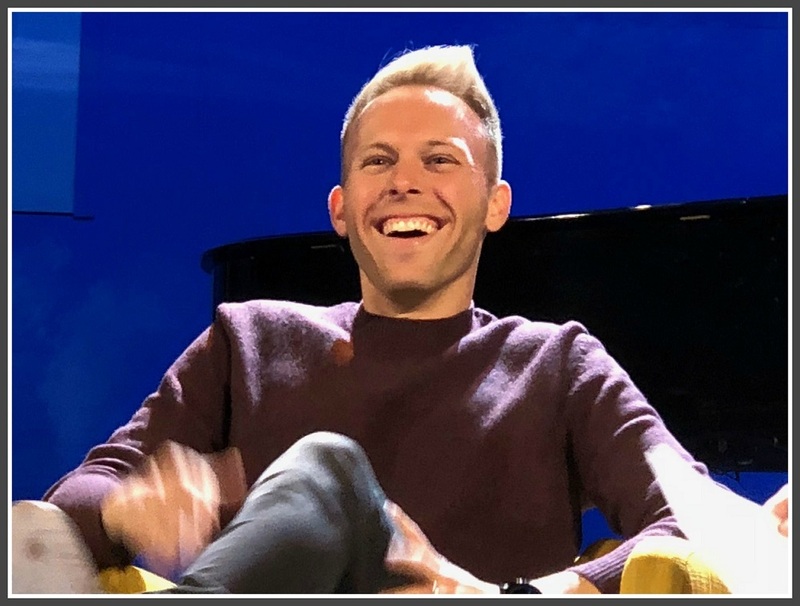 Justin Paul was in Westport last month, entertaining and inspiring the Westport Library’s “Booked for the Evening” crowd. We’ve got 2 months to wait. The 70th Emmy Awards will be broadcast on Monday, September 17 (8 p.m., NBC). 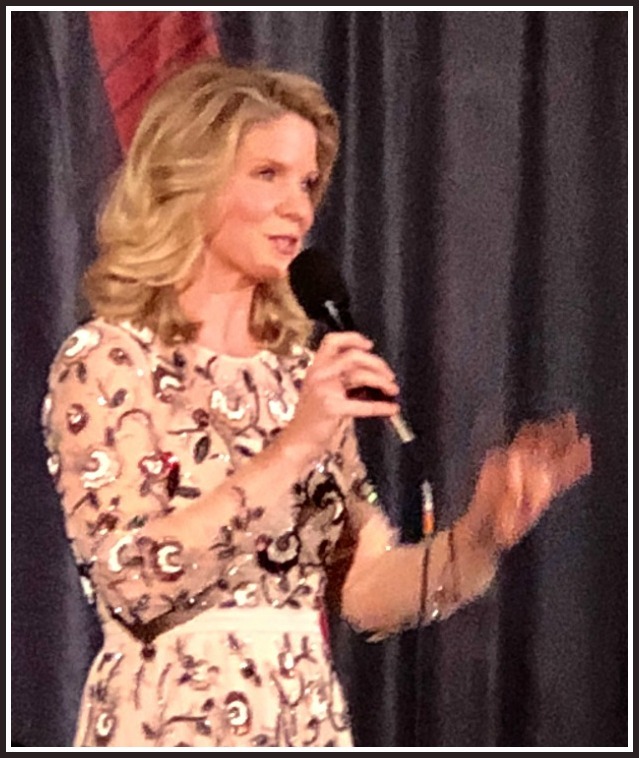 During its first 19 years, the Westport Library’s “Booked for the Evening” fundraising event has included many A-list names. Tom Brokaw, Doris Kearns Goodwin and Alan Alda imparted wisdom to sold-out crowds. Patti Smith and Nile Rodgers entertained them. But “Booked” has never seen — or heard — anyone quite like the 20th honoree. 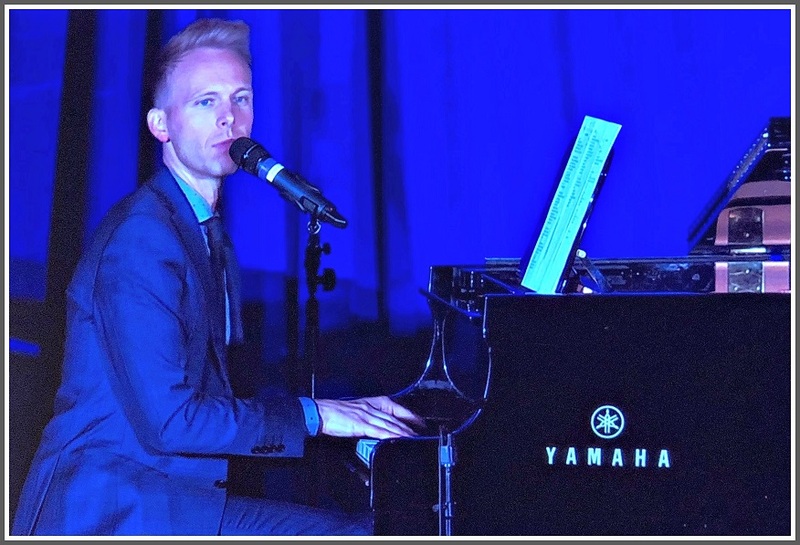 Justin Paul — the Oscar, Grammy and Tony Award-winning, white-hot songwriting star and proud Westport native — kicked the Library’s signature evening into the stratosphere last night. Weaving together 2 themes — the importance of libraries (especially Westport’s), and his hometown’s longtime embrace of arts education — Paul was visibly moved by his “Booked” honor. Justin Paul entertained and inspired last night’s “Booked for the Evening” crowd. Teachers like Ben Frimmer showed the “left out” middle schooler who he could really be. At Staples, Alice Lipson, David Roth and others helped him find his voice, and his life’s work. He also cited influences from Long Lots Elementary School, Music Theatre of Connecticut, and Chris Coogan. Paul acknowledged that not everyone grows up in a town like Westport. He urged the audience to pay attention — and provide resources — to youngsters in the many places that do not provide the opportunities, and access to the arts, that his hometown does. He then launched into 3 of his best-loved, and most meaningful, compositions: “For Forever” from “Dear Evan Hansen,” “City of Stars” (“La La Land”), and “This Is Me” (“The Greatest Showman”). Paul — who, with his songwriting partner Benj Pasek writes beautiful, hopeful music for stage and screen — is admired by countless fans, young and old, around the globe. But he’s a special hero to Staples students. 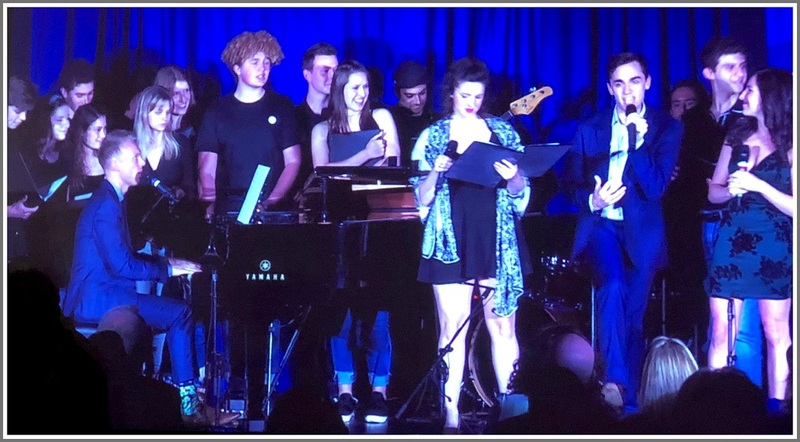 Two generations — recent college graduates and current performing stars Mia Gentile, Tyler Jent and Michelle Pauker, along with today’s Orphenians — joined Paul on stage. The mood was joyful. But the “Booked for the Evening” star wore the biggest smile of all. Justin Paul at the piano, with fellow Staples graduates and current student stars. BONUS REEL: Mark Platt, the producer of “La La Land,” was one of the many big names appearing on video. He made a special announcement: He’s funding a new recording studio, now under construction at the Westport Library. It will be named for Justin Paul. When Justin Paul was a Staples High School student, he played piano for the Westport Library’s signature Booked for the Evening fundraiser. The Class of 2003 graduate returns to the event this year. This time though, he’s not the entertainment. Paul — the Oscar, Grammy, Tony and Golden Globe Award-winning songwriter whose collaboration with Benj Pasek includes “Dear Evan Hansen,” “La La Land,” “The Greatest Showman,” “A Christmas Story,” “Dogfight” and “James and the Giant Peach” — joins the likes of Tom Brokaw, E.L. Doctorow, Pete Hamill, Martin Scorsese, Doris Kearns Goodwin, David Halberstam, Patti Smith, Alan Alda and fellow Westporters Nile Rodgers and Lynsey Addario as “Booked” recipients. Not bad for a 33-year-old. Paul admits that he doesn’t have the “life experiences” of honorees. But he’s got plenty of riveting acccomplishments. And he knows the Westport Library well. The CD and DVD collections helped him on his career path. “I think they subtly encouraged my exploration of music, movies and plays,” he says. Another library — the music one at the University of Michigan — played an important role in Paul’s life too. 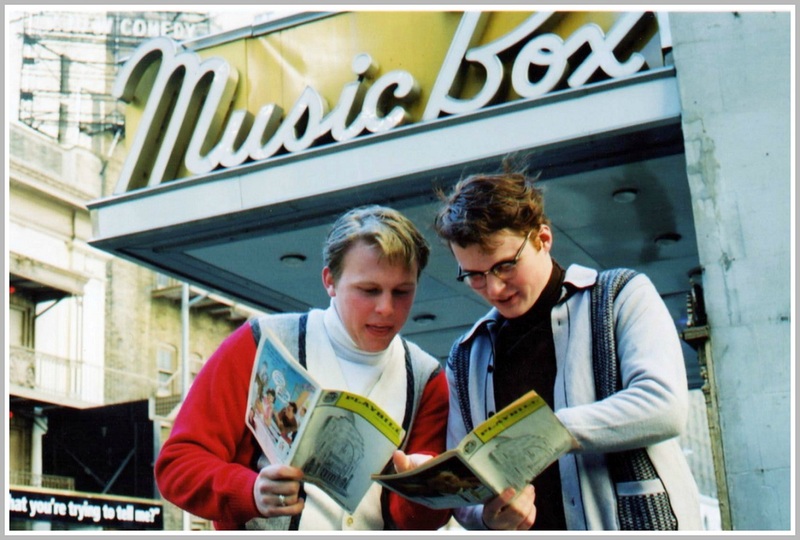 When Paul and Pasek began their songwriting careers, librarians would request official copies of their work. A lot has happened in the decade since. And it’s been only a decade and a half since Paul went from playing piano at Booked for the Evening, to the main event. What will he talk about on June 11? “I could fill an hour just listing all the Westport influences on my life,” he jokes. Justin Paul. Lin Manuel Miranda. Ben Platt. The March For Our Lives. Yesterday, the 4th #Hamiltondrop video was released. The series features monthly “Hamilton”-inspired mashups, combined with other well-known songs. 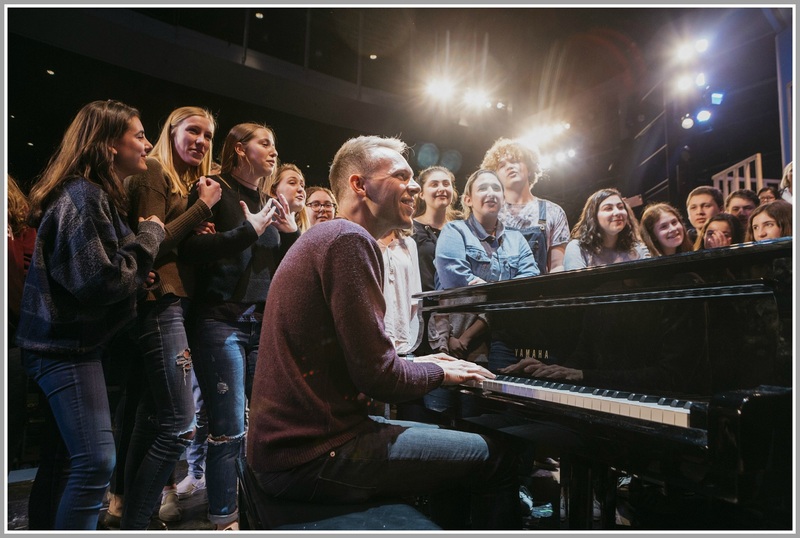 The one mixes “Hamilton”‘s “Story of Tonight” with “You Will Be Found,” from “Dear Evan Hansen.” That tune was written by Staples High School graduate Justin Paul, and his songwriting partner Benj Pasek. The mashup is sung by Miranda and Ben Platt, a Tony Award winner for his portrayal of the “Hansen” title character. Broadway.com says it may be the best of the entire series. The video includes quick shots of Justin, sitting on a couch watching the recording. It was made just a couple of hours after he visited Staples High and Coleytown Middle Schools. He was exhausted, but excited. Proceeds from downloads (click here) go to this weekend’s march, organized by teenagers to draw attention to gun violence and political inaction. Justin Paul was a Broadway composer. Collaborating with his best friend, he was hailed for his talent and creativity. Over the years though, Justin made choices that took him away from his dream of writing songs that made a difference. He let his friends down, sold out, and became just another Hollywood producer. That’s a true story. Fortunately, the only connection Justin Paul has with it is that the composer is a character he once played. 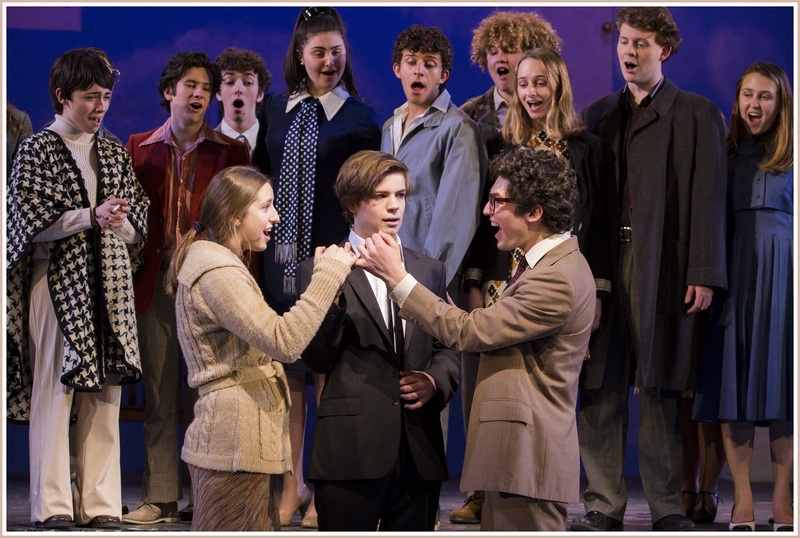 As a high school senior in 2003, Justin was Frank in Staples Players’ production of “Merrily We Roll Along.” It was a great, complex role, for a talented actor. Fast forward more than a decade. 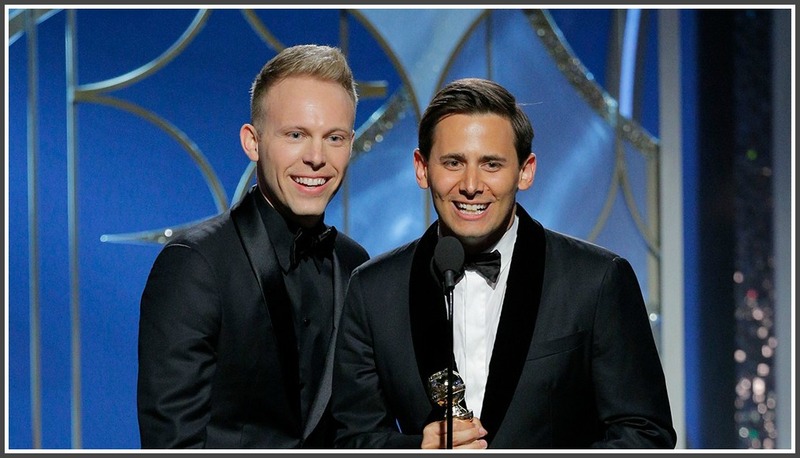 Pasek and Paul are now the hottest songwriting team in Hollywood (“The Greatest Showman,” “La La Land”) and on Broadway (“Dear Evan Hansen”). In fact, the first chapter in a new coffee table book about “Evan Hansen” details that first-year Sondheim experience in Ann Arbor. And once again, Justin Paul plays a key role. No, he’s not onstage. But last Friday he visited with the cast and crew. He sat in on rehearsal. And when the curtain goes up later this month, he’ll be in the audience. 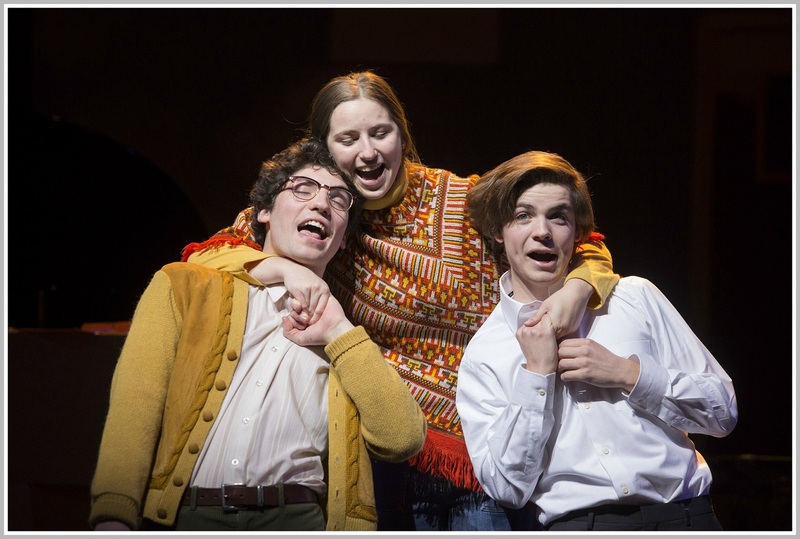 “Merrily” is an intriguing show. The story is told backwards. It begins as Frank looks back regretfully on the choices he made. Each subsequent scene takes place several years before the previous one. Each reveals the process behind those choices. He notes that the original Broadway cast was all between 17 and 20 years old. That’s close to the age of his Staples students. “It’s poignant that our kids are at a point in their lives when they still have dreams — and can actually accomplish them,” Roth says. 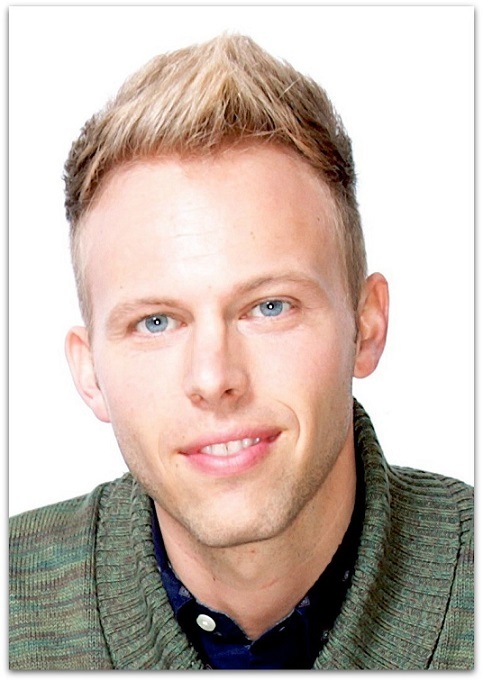 The 2003 production — with Justin Paul — was powerful. Several theatergoers told Roth that the show had made them take a serious look at their own lives. “The power of theater is really amazing,” he notes. So is the power of Staples Players. One of the pivotal moments in Justin Paul’s life came when he played Frank, the lead role in “Merrily We Roll Along.” Stephen Sondheim’s complex, intriguing play helped Justin — a Staples High School senior — understand the power and importance of theater. Another key moment occurred when a stranger in the audience — Justin has no idea who — complimented him, and said he could make a career in the theater. Up to then, Justin had figured he’d be — who knows, maybe a lawyer? But because of that random comment — similar to advice given by parents and teachers, but teenager listens to them — Justin seriously reconsidered his choices. Broadway and film lovers are glad he did. After graduating from the University of Michigan — where he was not the best actor (and perhaps the worst dancer) in his theater program, but where he did meet his great friend and songwriting partner Benj Pasek — Justin’s career has taken off like, well, a movie tale. And he’s just 15 years out of high school. As with any show, there have been challenges. Not the least is missing 2 key days of rehearsals, when schools closed this week after the winter storm. So the young actors, tech crew and singers who listened in awe to Justin — and asked great questions — may have been the only Staples students happy to have only a 3-hour delay yesterday, not a 5-day weekend. Justin talked honestly, passionately and with plenty of humor about his life at Staples, and in theater. He inspired, motivated and validated hundreds of teenagers, at a pivotal moment in their lives — just as he had been inspired, motivated and validated 15 years ago, in the same auditorium. And then — after sharing not just his wisdom, but his music — with them, he headed off to Coleytown Middle School. Where he did the same, for another cherished alma mater. When Ben Frimmer began teaching 5th grade at Coleytown Middle School in 1995, he lucked out. Justin Paul was in his class. Justin Paul’s Oscar acceptance speech. Ben has stayed at Coleytown, influencing countless youngsters in the classroom and on stage. This year — as Ben began planning Coleytown Company’s spring production — he thought of “James and the Giant Peach.” Early in their career — in 2010 — Pasek and Paul wrote the music for the theatrical adaptation of Roald Dahl’s beloved tale. 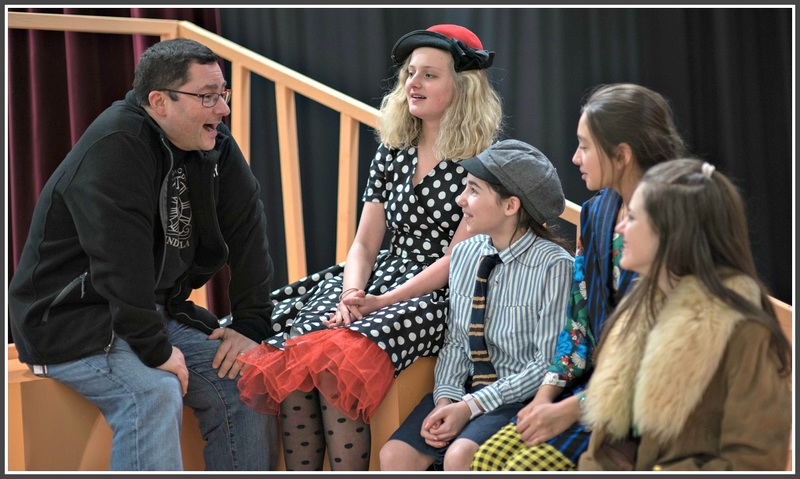 “It’s hard to find age-appropriate shows for middle school actors, and a middle and elementary school audience,” Ben notes. “‘Dogfight’ would not be appropriate” — that’s the Pasek and Paul play (with a book by Westporter Peter Duchan) about Marines and their night of debauchery — but “James” definitely is. The musical is about a boy who loses his parents, and lives with angry, conniving aunts. Through a bit of magic, a peach and some bugs become giants. James is embraced by the bugs, and finds happiness with them. Ben got rights to the show. Then he asked Justin if he could work with the Company. The cast numbers more than 50, with a tech crew of 20 more. So despite an insanely busy schedule — including the Oscars last Sunday — Justin will be at Coleytown this Friday (March 9). He’ll play piano, and rehearse with the kids from his alma mater. The youngsters all know who Justin Paul is. Many have seen “Dear Evan Hansen,” and everyone knows “The Greatest Showman.” The film’s song “This Is Me” has become a worldwide smash. Now he’s inspiring not just teachers, but the next generation of theater-goers. And actors, who may — who knows? — one day perform in another great film or show, with music by Justin Paul. 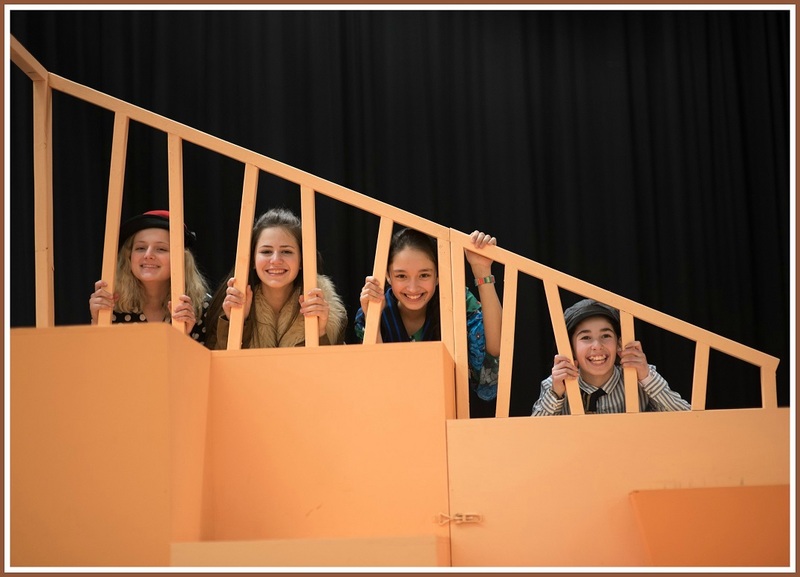 “James and the Giant Peach” will be performed at 7 p.m. on Friday, March 23 and Saturday, March 24, and at 1 p.m. on March 24 and Sunday, March 25. For tickets and more information, click here (search for “Coleytown”). For ticket questions, email swebster@westportps.org. Justin Paul was a Staples Player. As in, the acting troupe. He was not an ice hockey player. Nor did he play any other sport. But the 2003 graduate will be everywhere at this month’s Winter Olympics. As millions of viewers of last night’s Super Bowl noticed, “This Is Me” — a song composed by Paul and songwriting partner Benj Pasek — was the background for a dramatic, compelling NBC Sports ad. The song — sung by The Bearded Lady (Keala Ssettle) in “The Greatest Showman,” an anthem of diversity and acceptance — fits well with the network’s goal of personalizing Olympic athletes, celebrating their many paths to success and achievement. The ad will air frequently during the PyeongChang games. They begin Thursday. “This Is Me” is having a run that Bode Miller would envy. It won a Golden Globe, and has been nominated for an Oscar. The soundtrack reached the top of the charts internationally, and was #1 on iTunes in over 65 countries. So tune in this month for the athletes. And enjoy Westport’s own amazing artist — Justin Paul — too. BONUS FUN FACT: Westport resident John Miller is chief marketing officer for NBC’s Olympics coverage.